My main specialty is mobile applications for Android in Java and Kotlin. Node.js and Express, and .NET Core. I love MongoDB as well. My main focuses include mobile application development for the Android platform, along with frontend and backend web development using Node.js and other related tools/frameworks. I currently work as an Android Engineer at Square in San Francisco, working on custom in-house hardware such as Square Register and Square Terminal. My non-professional interests include motorcycling & cars, snowboarding, and music & drums. I currently ride a 2018 Triumph Thruxton R and drive a Mk6 Volkswagen GTI. MNML is a minimal, beautiful, and easy to use screen recorder. Check it out on Google Play and GitHub. PhotoAffix simplifies the process of stitching multiple images next to each other. Check it out on Google Play and GitHub. Nock Nock aids in monitoring websites on the go to make sure they are healthy. Check it out on Google Play and on GitHub.
. Material Dialogs makes constructing and using Material Designed dialogs super elegant and fun.
. A Kotlin DSL API to make RecyclerViews easier to use and faster to setup.
. vvalidator is a view validator (form validation) library for Kotlin & Android.
. 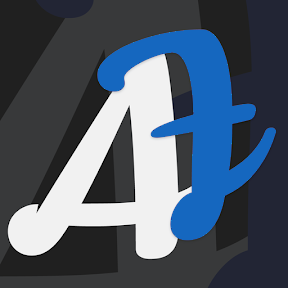 Aesthetic is a dynamic runtime theme engine for Android apps. It's written in Kotlin, reactive, and designed to be plug-and-play.
. DragSelectRecyclerView brings Google Photos' drag-selection to the masses.
. Assent is designed to make Android runtime permissions very easy and compact to use.
. RxkPrefs wraps SharedPreferences with a Reactive interface, designed for Kotlin.
. Material CAB lets you create contextual action bars with flexible placement and configuration. Check out my other libraries and tools! I ride a 2018 Triumph Thruxton R. And I absolutely love it. I previously had a 2017 Harley Davidson Sportster Forty-Eight and a Honda Rebel 300. I'm no doubt a motorcycle enthusiast.